The geo-economic theory is an interdisciplinary principle that combines geographical, political economic and economic theories. It seeks the greatest benefits for countries by studying the interactions between politics and economy within a specific spatial scope. Geo-economics is an important driving force for border area development. The unique location of borders determines their unique developmental path by geo-economic cooperation under the premise of territorial security. The USA-Mexico border, USA-Canada border, and borders within the European Union represent regions of geo-economic cooperation. The border region is of great significance for national security and external economic development. It is urgent to analyze the geo-economic cooperation and its impact mechanism for accelerating development in China’s border areas. The idea of this article is as follows: firstly, the framework of geo-economic analysis is built up in this paper. The measurement index system of Geo-economy needs to incorporate multiple factors. Based on the theoretical basis of geo-economics and China’s direct foreign investments, and with the help of results from previous studies, this study constructs the measure index system for geo-economic development levels in border areas from the aspects of the local economy, export-oriented economy, and local comprehensive development. Secondly, this paper systematically depicts the geo-economic development and its evolution in China’s border areas. There are significant spatial distribution differences in geo-economic development levels in the border areas of China. The growth poles for geo-economic development include the Mudanjiang in Northeast China, Baotou in Inner Mongolia of North China, Bortala Mongolia Autonomous Prefecture in Xinjiang of Northwest China, Dehong Dai and Jingpo Autonomous Prefecture in Yunnan of Southwest China, as well as Chongzuo in Guangxi of South China. Regionally speaking, Mudanjiang had the highest level of geo-economic influence in Northeast China as it has a large market for economic trade with Russia. As an important border city, Suifenhe is completing its external connection channels to Russia. In addition, Russia boasts abundant mineral resources, low tariffs, a large amount of available labor, and low-priced land. 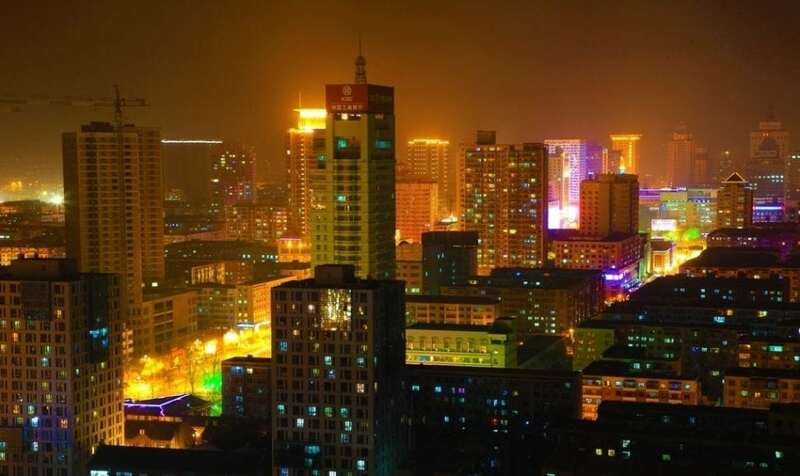 As the largest industrial city in Inner Mongolia, Baotou has great strength in this regard. Baotou has also been collaborating with Mongolia in energy, crops, and livestock products. In Xinjiang, the Bortala Mongol Autonomous Prefecture had the highest level of geo-economic influence. As the bridgehead of western China’s opening, Bortala has been playing a critical role in the import and export channels of the 2nd Eurasian Continental Bridge. Alashankou port has the highest ranking among the national land ports in cargo volume handled, customs revenue, and trade revenue. Moreover, bordering countries display an evident will to collaborate. In the Yunnan-Guangxi area, Dehong Dai and Jingpo Autonomous Prefecture and Chongzuo city are the top two geo-economic influencers. However, the spatial differences are not significant. From the time evolution of view, it is found that the level of geo-economic development in border areas is generally stable. The absolute advantage position of geo-economy in Northeast China has gradually in a decline, while the advanced areas are highly dispersed geographically. Third, the mechanism of spatial disparity is also analyzed by using the GeogDetector. The geo-economy of the border areas are mainly influenced by the national policies, the development level of its neighbors, as well as the willingness on bilateral trade. National policies, traffic accessibility, and cultural proximity have significantly affected the geo-economic performance. Among them, the geo-economic performances of Inner Mongolia and Tibet are mainly affected by the development of neighboring countries; the northeast region and Xinjiang are mainly affected by policy supports, while Guangxi and Yunnan are affected by comprehensive factors. Finally, this paper puts forward some implications for geo-economic development in China’s border areas in the complex geographical environment. The study, Spatial difference and mechanisms of influence of geo-economy in the border areas of China was recently published in the Journal of Geographical Sciences. Tao, Yi, Weidong, and Hui are research scientists at the Chinese Academy of Sciences.